Janice Onsa spent three decades designing beautiful interiors for discriminating clientele in the Philadelphia area. Before joining the talented design staff of Hendrixsons Furniture, a distinctive Bucks County fine furniture and design firm, she spent twelve years with Ethan Allen winning the prestigious National Circle of Excellence Award for exceptional design and service to her clients. In 2017, Janice returned to her first love, Ethan Allen. You can find her at the Ethan Allen in Montgomeryville, PA. She continues to give her clients the personal attention to the details of their world that she would appreciate and enjoy. D'town Interiors began in 2005 with the goal of working on a personal level with clients as a creative partner. Listening is where it begins. A desire to subtly reflect your unique personality and lifestyle affect your selection of color, shape, and texture. As our partnership grows, it will become easier to connect with the feelings that drive these tastes. There IS fun in a process that some can find overwhelming, like wandering in the wilderness. Beginning with a careful plan to direct your journey, your excitement will grow as your vision begins to take shape in color, furniture, and fabric. When you arrive, you'll be thrilled with the outcome and be glad that you had an experienced guide. Exciting patterns and luxurious textures. Discriminating furniture selections. Selective comfort choices. Savvy space planning. My experience in expertly blending these elements will create for you a personal world where you, your family and your guests feel welcomed home. John's Window Fashions offers competitive pricing for the budget-conscious consumer seeking value, and quality window treatments. Owners, Paul and Elissa LaDow have over 30 years experience in guiding homeowners to the best window treatments solution for their needs, while providing the best pricing. 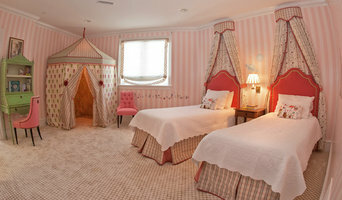 Since 1997, JMS Designs, Inc. has been providing exquisite custom furnishings to discriminating clients. From modern chic to timeless elegance, our extensive sample library offers the finest selection of designer fabrics for custom window treatments, bedding, and furniture. 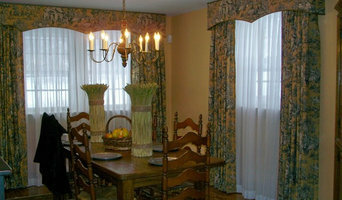 We also offer coordinating wall coverings, custom designed carpets, and accessories to complete the look of any room. By recognizing the uniqueness of every client and providing unmatched personalized service, our aim is to provide results that meet the highest design standards. Contact us for a free in home consultation to explore the possibilities!